Sometimes television behaves like a launch pad for some of the biggest actors that Bollywood boasts of. We all are a big fan of TV actors but watching them in theaters doesn’t really excite us every time. But yes, there are some TV actors who made it big in Bollywood. Here is a list of top five TV actors, who are very much known for their work in Bollywood too. This man is the perfect example of success on big screen. His serials like “Foji” & “Circus” on the TV were very popular. He made his debut on silver screen with “Deewana”, which was released in June 1992. Although he was not the solo hero in the movie, but still his presence could be felt in the movie. and today, he is the biggest name in the industry, even he doesn’t need any introduction. He is very well known as the Baadshah or King Khan of the Bollywood. 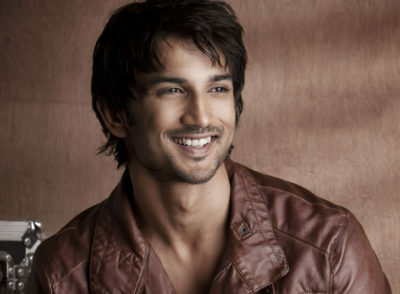 Sushant is a very well known face of every Indian’s drawing room.He was a popular TV actor. He has done serials like Kis Des mei Hai Mera Dil, but he came into limelight as Manav of Pavitra Rishta. Although, his first movie Kai Po Che, was a blockbuster but Rajkumar Rao overshadowed his role in the movie. His next was a cameo in the Blockbuster movie PK, which was also appreciated. But the movie, “M.S. Dhoni” made him earned the Critic Award for Best Actor(Male). Surely his acting made the movie alive and he has proved his presence in the Bollywood. Yes, the girl was known to every family as “chashmish“ of Hum Paanch serial. This was her first serial as a Tv actor. No one could imagine that this girl can be so successful as a heroine in the Bollywood. She made her debut from the movie Parineeta. Then followed a leading role in the highly successful 2006 comedy film Lage Raho Munna Bhai. Many more in the list, but the much awaited came in the year 2011, “The Dirty Picture”.Her role in the movie is still mesmerizing. She was Damn Hot And her acting was superb. This movie made her popular in the mass too. The actor himself made his debut from the movie “Jaan Tere Naam”, whose song is still on our tongues, but he could not make it big in the start. And after a huge break from the industry, he turned towards TV, and here come his unforgettable roles like, “Mr. Bajaj” from Kasauti Zindagi Kay, “Mihir Virani” from Kyunki saas Bhi Kabhi bahu Thi and the latest one “K.D. 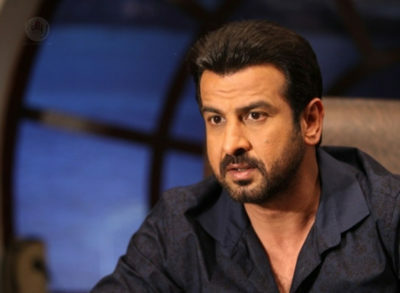 Pathak” form Adaalat. His success on television is unmatchable. He is the most popular actor of television, but he doesn’t,t stopped here, he made his debut again on the big screen with the movies like Boss, Guddu Rangila etc. His recent movie was Kaabil. Well, he has proved that he is a very Kaabil actor. This one surely will amaze you, the famous Aashiqui Boy has started his career as a VJ on channel V. Then he debuted from movies like London Dreams, followed by Action Replay and Guzarish. but He debuted as a supportive actor here. He got his big break from the movie Aashiqui 2 in 2013, and he is a heart-throb of million of girls as Aadi. His role in the youth romance Jawani Deewani was also appreciated. So who’s your favorite among all? Do share with us ! !